Hello dear blogging friends: The SHOPPING OUR STASH challenge has a really yummy one for you, we want to see FOOD on your cards, anything and everything that can be eaten, ok? My teammates and I can't wait to see what you create. Here is my card that hopefully will inspire you to come and play along. This image is from a Power Poppy set called Farmers Market and it has the most beautiful and fresh images of good old fruits and veggies. 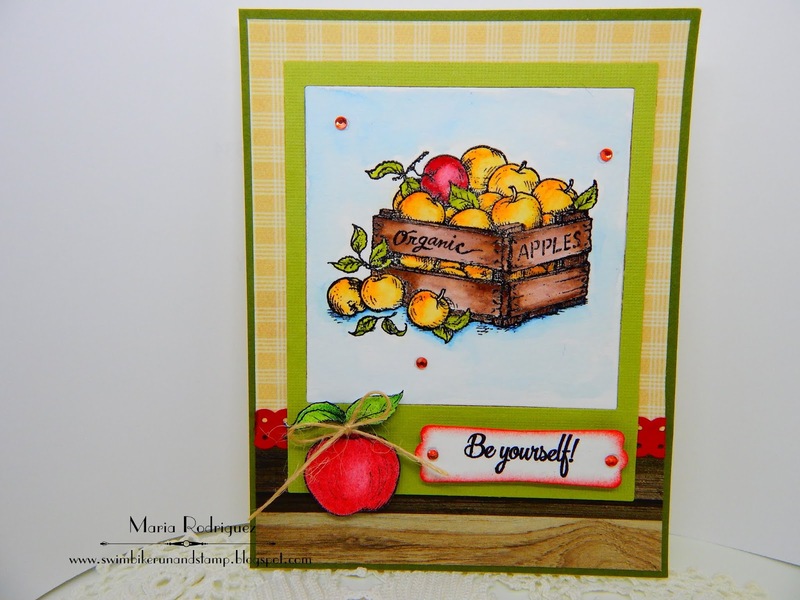 I stamped the image on watercolor paper with Versafine black ink and colored it with Sakura Koy watercolors, the nice red apple is from a retired Flourishes set called "Apple of My Eye", stamped on watercolor paper, colored with watercolors and fussy cut. 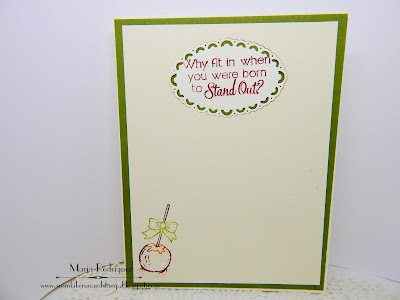 My sentiments in front and inside are from another Power Poppy set called Sassy Succulents. I added a few Rhine Stones just for a bit of bling. The yellow pattern paper is from Lili of the Valley and the wood piece from my stash of leftovers from a pack I bought some time ago at the craft store. 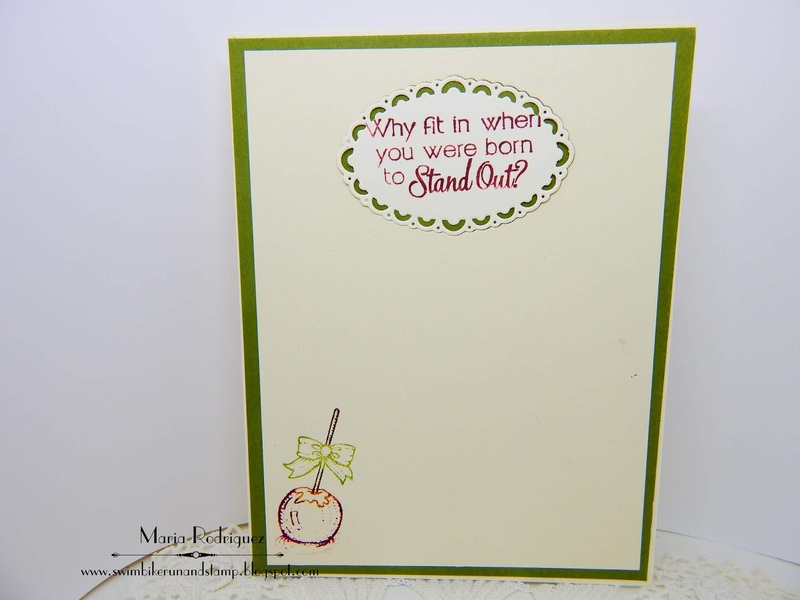 The little caramel apple is from the retired Flourishes set called "Apple of My Eye". 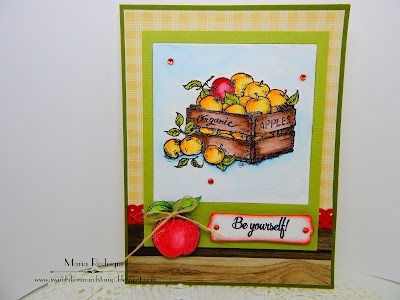 I hope you come and play along with us over at SHOPPING OUR STASH, and don't forget to go visit my teammates' blogs to see their beautiful creations.